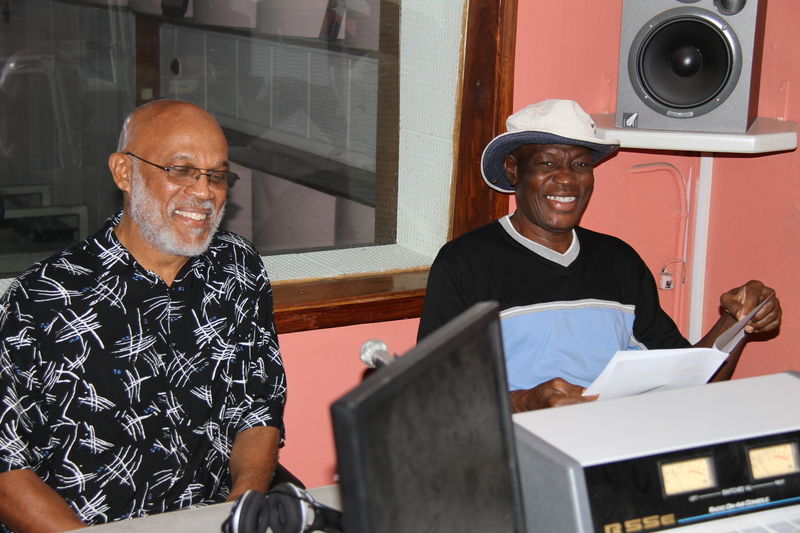 Barbados Jazz Society was on air at VOB Radio 92.9FM, Sunday December 1 with our first segment of the BJS Jazz Hour. Listeners who tuned in to the program heard BJS V.P. 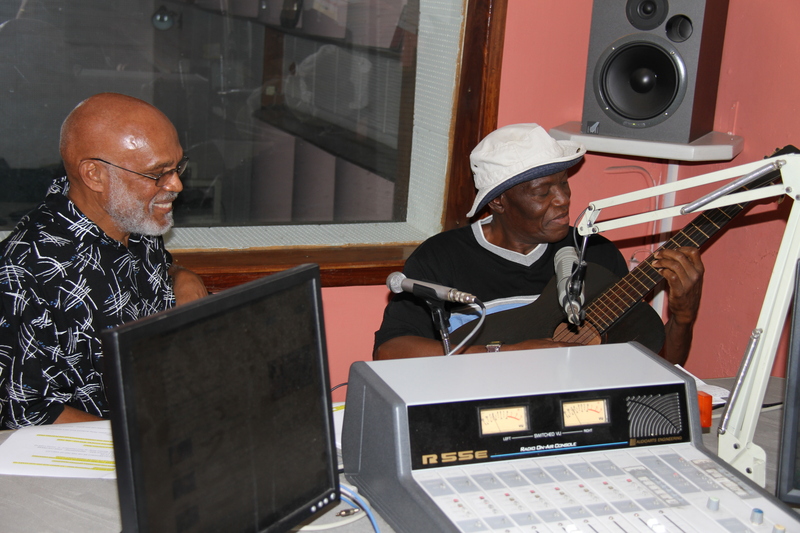 Jerome Jones in conversation with Barbadian master guitarist Mike Sealy. December 5, 2013 Studio photos by our V.P. Barry Taylor. This program is the first in the BJS Jazz Hour radio series broadcast the first Sunday of each month at 6pm on VOB Radio 92.9FM . January 5, 2014 tune in to the BJS Jazz Hour when jazz saxophonist Arturo Tappin will be our guest. Glad to hear jazz is alive and well in Barbados. Looking to visit in 2017. Would like to meet up. I am a jazz dj in New Jersey. Thanks for you comments. Looking forward to seeing you next year.